My thanks to Rich Dean for pointing out an error on the boiler Staybolt calculation. I apologize for any problems this caused. 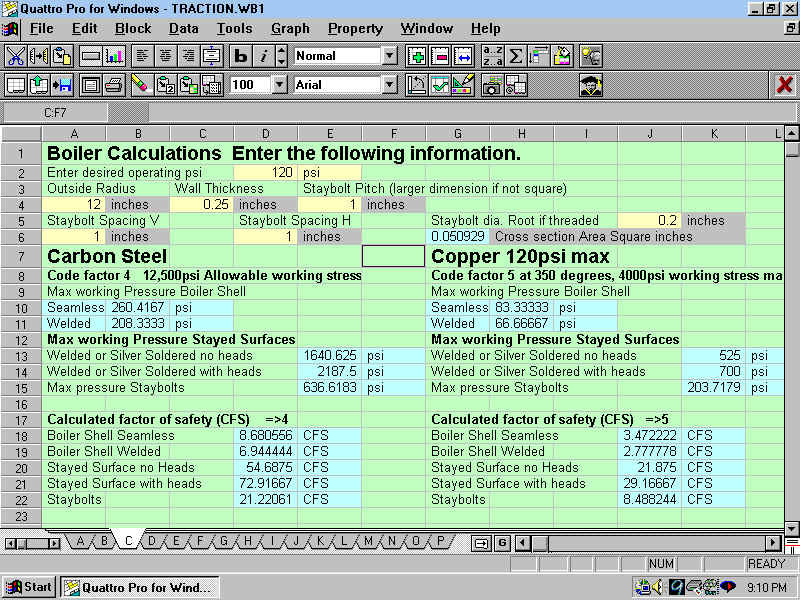 Here are some sample of the spreadsheet program available in Excel . There are three parts, one will calculate the max load that an engine can pull up different grades. 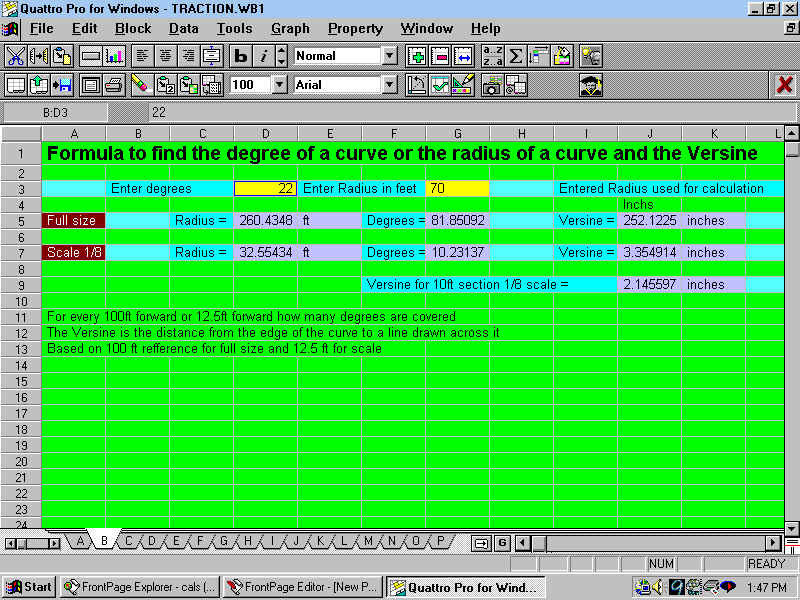 Another will find the Versine of a curve (draw a line between two points and it will show the distance from the center of the line to the edge of the curve. 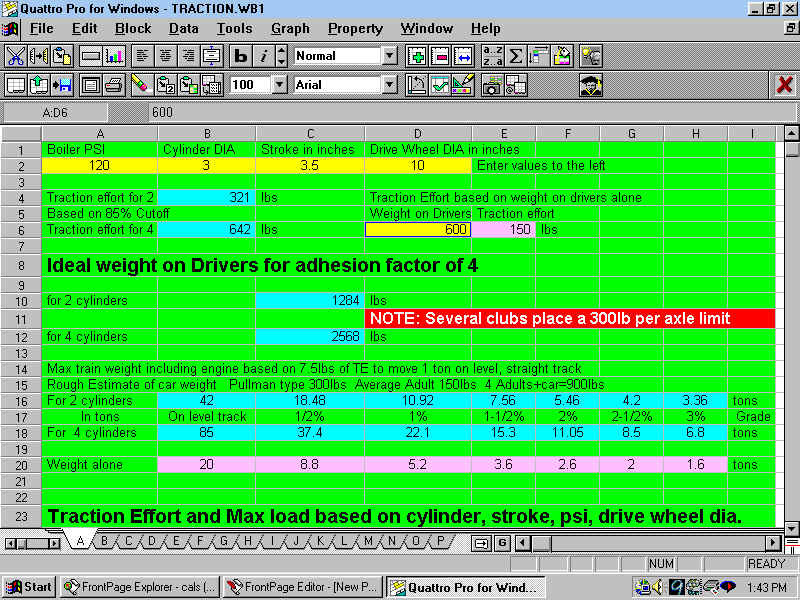 Useful for deciding how much flex is needed in the engine wheels.) The last part has the Maryland Boiler Code calculations. All of these are for guidance only and should not be the sole basis for any designs. Download the program here.